25.08.79 #2, 2010, soil, wheat seeds, recycled metal, fabric, 110 x 90 x 40 cm. Exhibited at The Invisible Dog Art Center, NY. 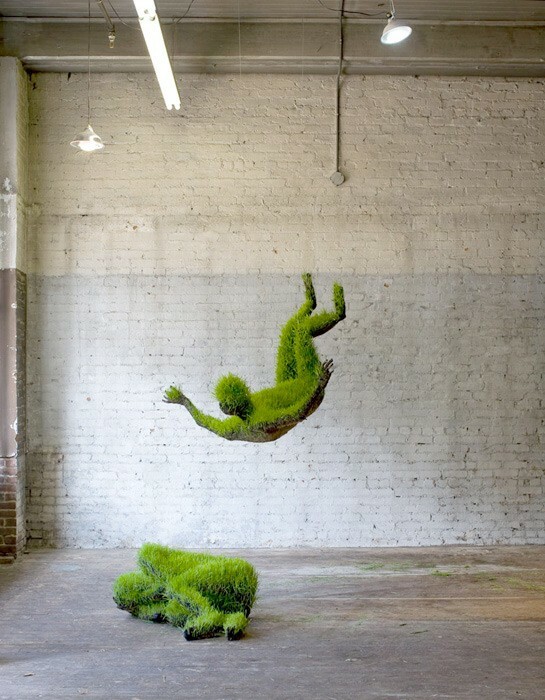 Mathilde Roussel is a French artist. 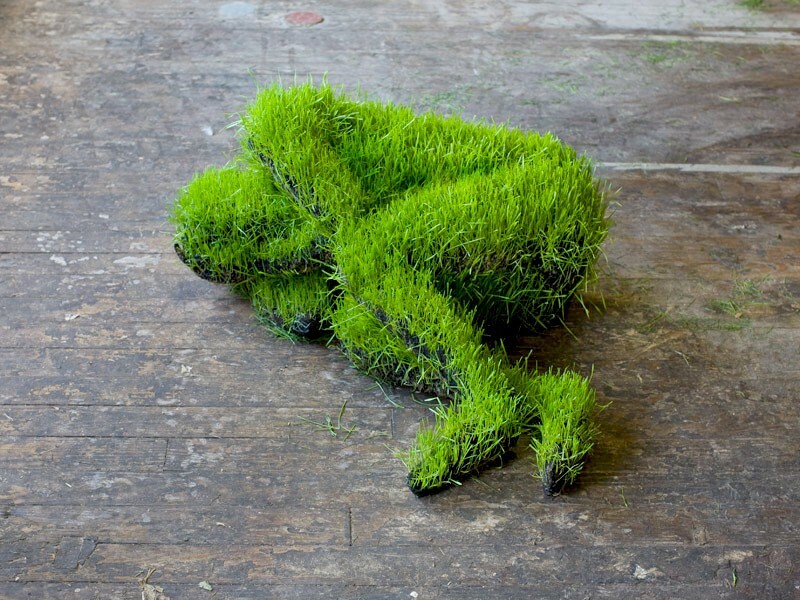 Based in Paris, Roussel works in various materials for her sculptures but one of her most remembered work is the Living Grass. This collection shows the transformation of soil wheat and seeds, fabric and recycled material to show the effects of transformation of material as a metaphor of the human body. After installation, the figures transform over the period of exhibition showing. Time sculpts the forms, makes them change and then decay. 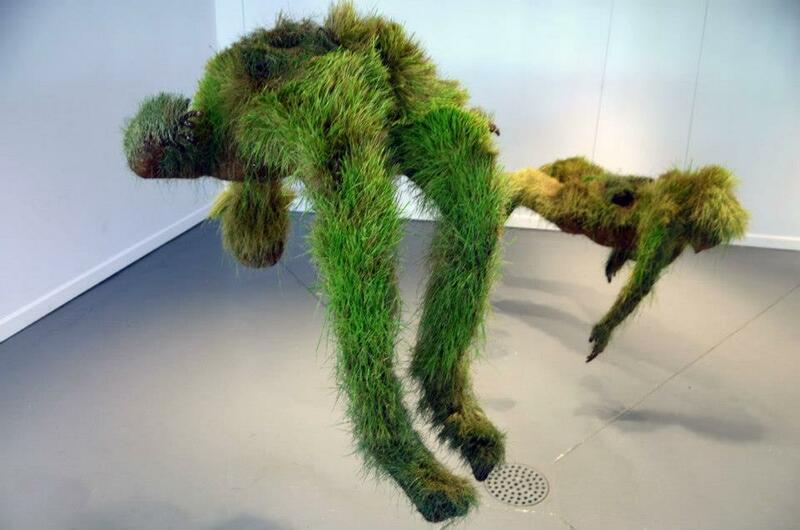 25.08.79 #1 and #2, 2010, soil, wheat seeds, recycled metal, fabric, 170 x 150 x 60 cm and 110 x 90 x 40 cm. Exhibited at The Invisible Dog Art Center, NY. Powerful! Thanks for sharing. Btw: This looks like an interesting blog, and good for you for keeping and sharing your connection to your heritage. I am so glad you like them Millie. Remember the small ones they sell at markets? They do here in Australia. Taking it to a larger man-size is amazing. I was impressed. You are very welcome! ❤ I am glad you like them. I love them.